Today I had a group crit with Simon. We congregated around a table with our collected research. In turn, each person presented their visual research explaining key points and information about their chosen story. 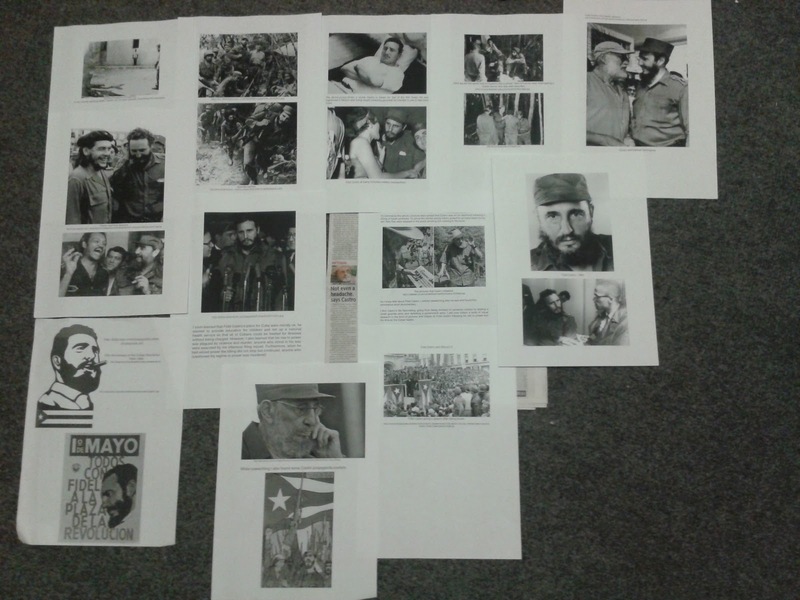 My research was conducted on Fidel Castro, the revolutionary Cuban leader. I had collected pictures that almost formed a timeline of his life. Starting with pictures of Castro in his University days, up until the photos he recently released to the press to prove his health. The feedback I received was helpful and will help me refine my research. Firstly, it was mentioned that I should research into why there are rumours that he is dead, apparently it is not the first time that it has happened. Moreover, I also need to research into Castro’s relationship with the western world. Finally, towards the end of my research I looked at some propaganda used for Castro’s regime, I want to research further into the propaganda used by Castro and different forms that it takes.